Making homemade granola seems like such a difficult thing to do and it also seems very time-consuming. This recipe takes only 30 minutes from start to finish and has 7 ingredients! 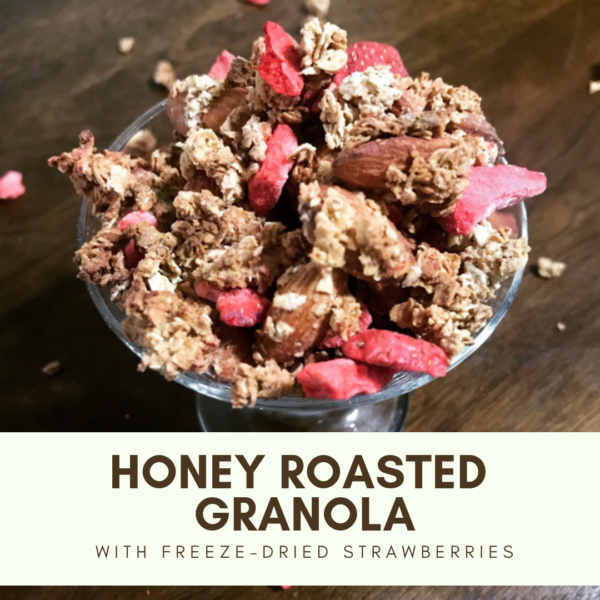 You can use this as a snack or add it to yogurt as a topping instead of buying granola from the store. 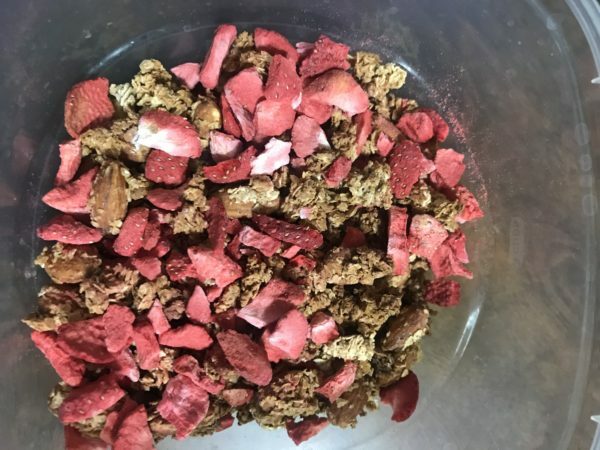 If you have never heard about freeze-dried strawberries, you are likely not alone! 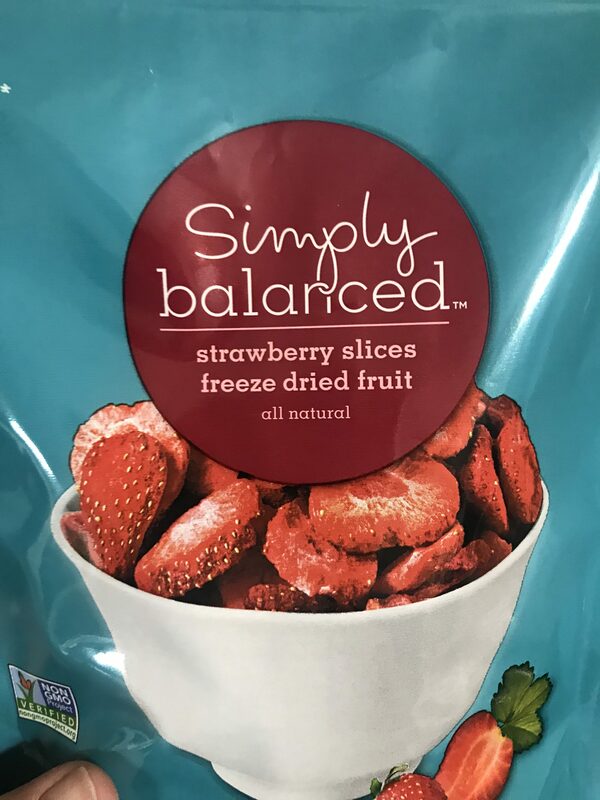 I found them at Target next to the raisins and other dried fruit. These are super sweet and the only ingredient is strawberries. You can eat these as a snack as well by themselves. I love these and find they taste amazing! An important note about this recipe is that you have to watch the granola after the first 15 minutes. You are going to remove it from the oven after 10 minutes to stir the mixture so that it cooks evenly. It’s important to stir the middle area towards the outside of the baking sheet. You also want to make sure that the mixture is spread evenly on a lined baking sheet. If this isn’t done, you could burn the outside edges of your granola and the inside won’t be roasted enough. This needs to be stored in a seal-able container, like a Ziploc bag or Tupperware. 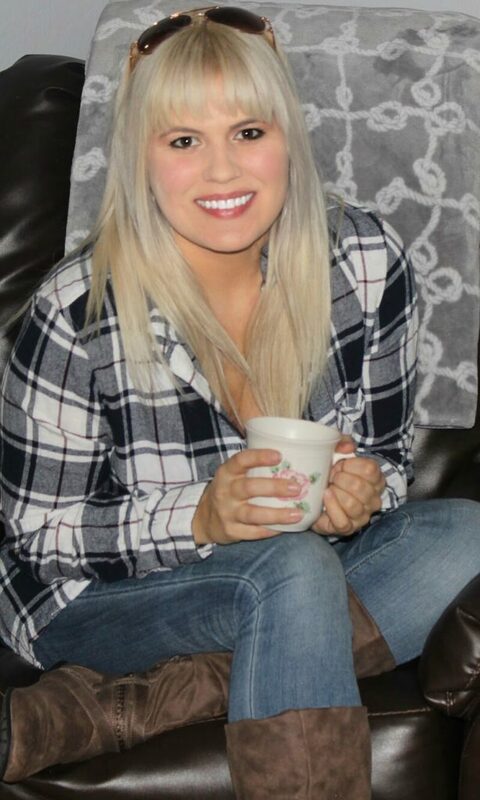 Try the recipe out and let me know what you think! This recipe takes 30 minutes from start to finish and tastes delicious a snack or with yogurt. Mix the honey, cinnamon, Stevia, and salt together. Add in the oats and almonds and blend together until coated with the honey mixture. 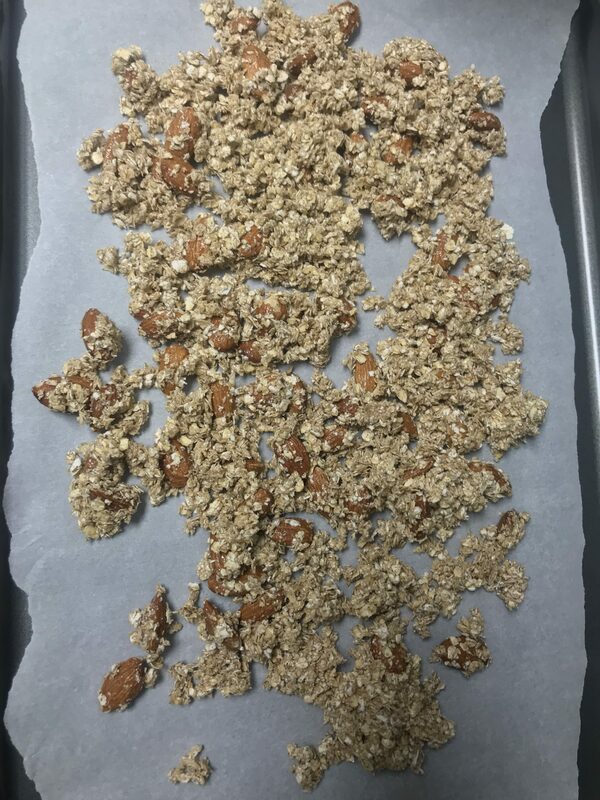 Spread the granola mixture on the baking sheet evenly. This is really important because if it is thicker in certain areas, it won't bake evenly. Place in oven for 10 minutes. Remove from oven and stir the mixture bringing the outside towards the center and the center towards the outside. This makes it bake evenly. Place back in oven and bake another 5-10 minutes. Watch the granola around the 5 minute mark. 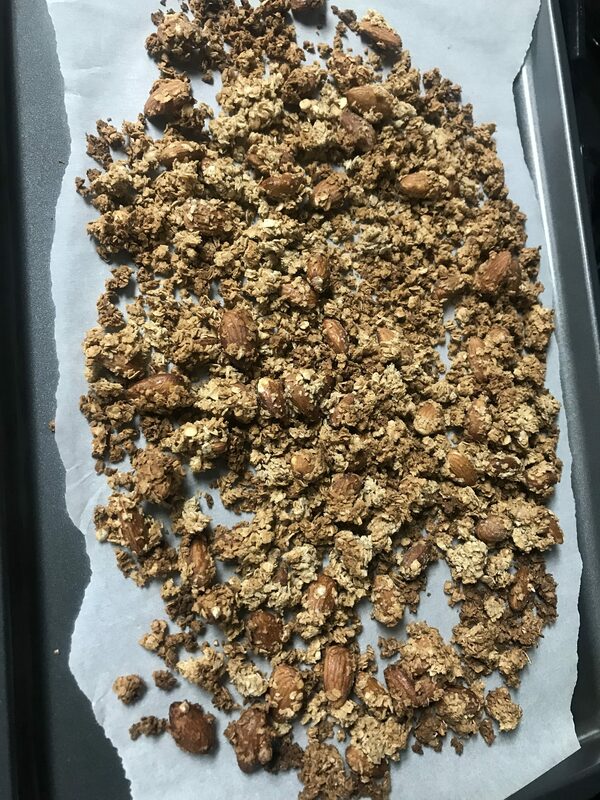 If the granola is a medium brown color, remove the granola from the oven. Let sit for 5 minutes to cool off. Measure 1/4 cup of freeze-dried strawberries. Crumble into pieces. Place the granola in a seal-able container and add the strawberries.